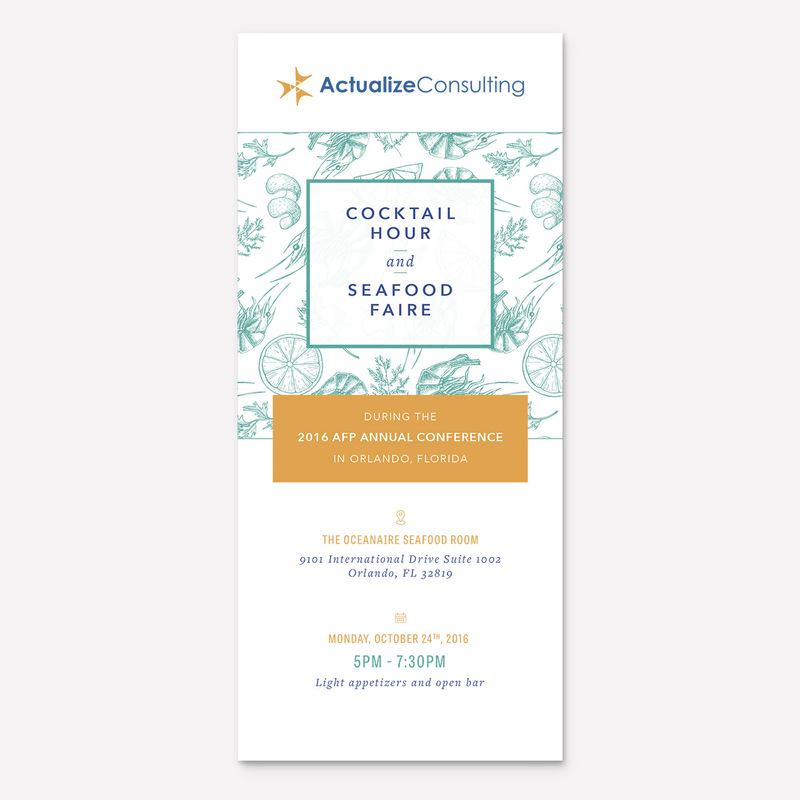 Actualize Consulting, a long-time client requested a design for a Cocktail Hour they were hosting and this is by far one of my favorite designs even though it’s a small one. 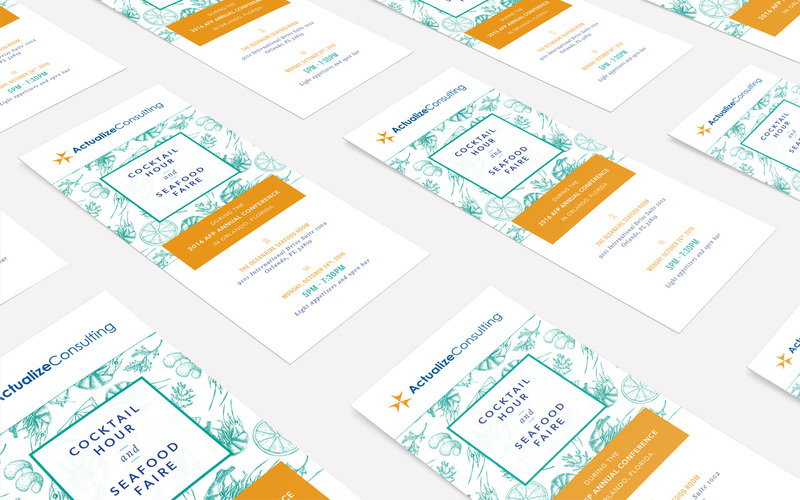 Incorporating the seafood component through a vintage, engraving style pattern that paired well with the clean type treatment really made this piece stand out. Their color palette was also weaved into the pattern for a cohesive look.